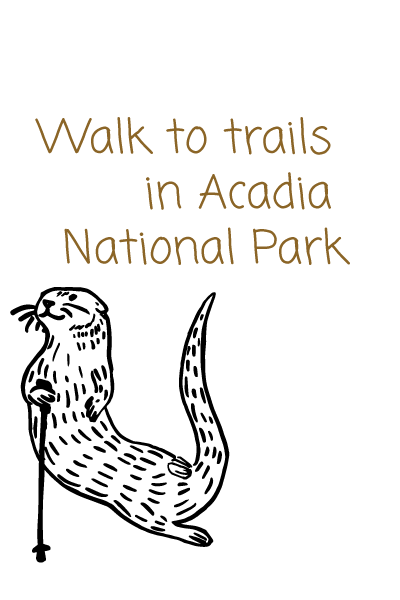 walk to trails and Acadia National Park. Surrounded by the peace of Acadia National Park, but with Bar Harbor just a quick drive or ride on the free Island Explorer bus, the Otter Creek Inn and Market offers a tranquil home base for all your island adventures. It is conveniently located between Seal Harbor and Bar Harbor, in the valley between Cadillac and Dorr Mountains. This secluded historic inn is away from the hustle and bustle yet close to multiple park entrances. We have many trails that intersect Otter Creek to satisfy the nature lover in you. We are also located just minutes from the world famous Blackwoods Campground. You can enjoy spectacular scenic views from our decks or the comfortable lounge chairs on our front lawn. So when you're ready for some R&R, head to the Creek.